Dominica created by Karen Miranda Augustine. A private concert. So private, I don't think she even knew I was there. An old Tuts Washington song. 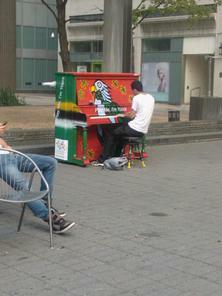 Dominica Piano in Yorkville. 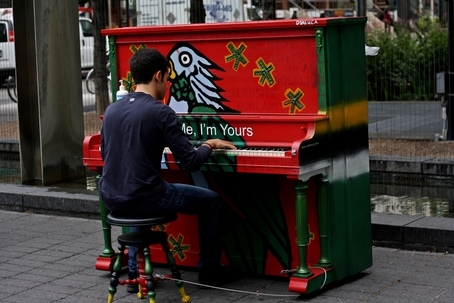 He was playing "The Scientist" by Coldplay. Bumped into this piano along my run this morning. Now I want to see them all! Pianist - AlexandraKFoto playing an Original Song Titled "All I Need"
Playing The Freshman by the Verve Pipe on Sunday July 15. 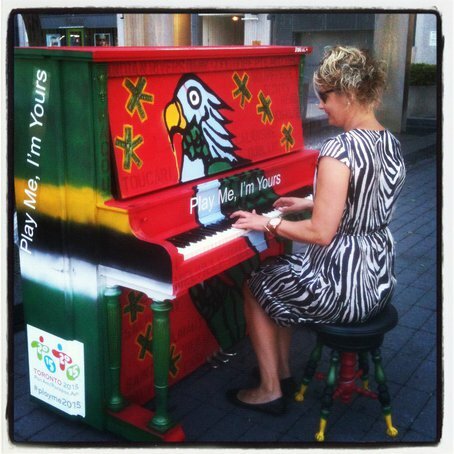 Bloor-Yorkville BIA's Suzanne Hajdu is a match with Play Me I'm Yours in the Village of Yorkville Park. A lovely addition to our evening stroll through Yorkville. Thank you to a talented young man and his rendition of a Coldplay hit! I don't know who he was, but it was such a treat to hear him play (and then later, sing). The sky had just turned hazy/grey, and there seemed to be a shift in everyone's mood and movements. We all kind of s l o w e d down. The melancholy tune he was playing matched perfectly with the change in pace. Beautiful. Brilliant vocals of Alysha Brillinger. 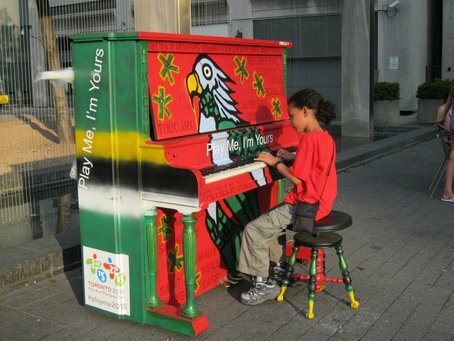 Playing a street piano, having just come from the Montreal Jazz Festival.